I've been an obsessed hard rock/heavy metal fan and collector since the early 1980s. If it's got a good guitar riff and attitude, I'm in. Judas Priest vocalist Rob Halford shocked the Metal world when he suddenly announced that he was leaving the band in late 1991, citing a desire to strike out on his own as a solo artist. It seemed inconceivable that the so-called "Metal God" could split from the band he'd fronted for nearly twenty years, especially since Priest had just finished touring for 1990's Painkiller, which had been their most successful album in a number of years. Rob wasted no time in releasing his first solo effort - the single "Light Comes Out of Black," which appeared on the soundtrack to 1992's Buffy the Vampire Slayer film. 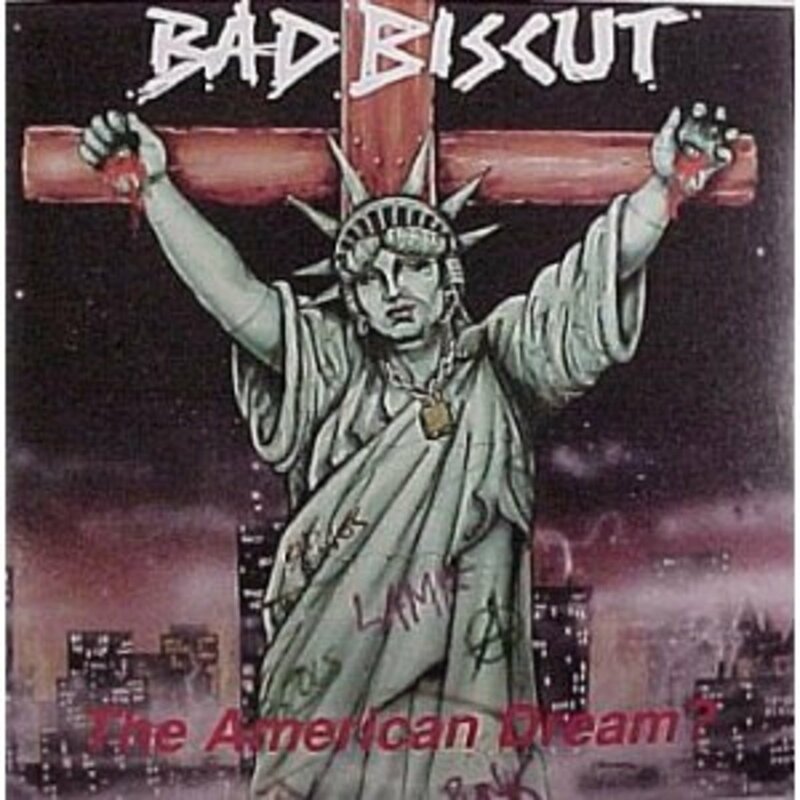 The song had more in common with the then-hot "groove" metal sound of the early '90s than Priest's textbook, classic British metal vibe - which made sense, because his backing band on the track were none other than Dimebag Darrell, Rex Brown and Vinnie Paul Abbott of groove-metal progenitors Pantera. The "Buffy" film flopped and the soundtrack album didn't set the charts afire, but "Light Comes Out Of Black" set the gritty, street-level tone for Rob's next project - an all new band he called "Fight." Rob retained Judas Priest drummer Scott Travis for his new combo and filled out the rest of the lineup with guitarists Russ Parrish and Brian Tilse and bassist Jay Jay - all of whom were young, hungry musicians intent on making a mark on the metal world. 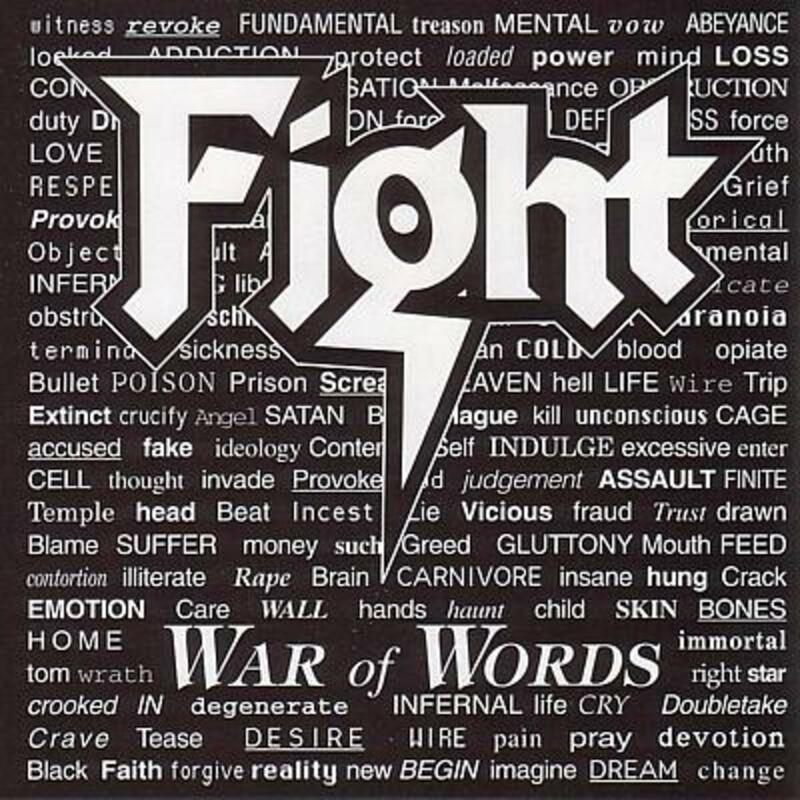 Fight's debut album, War Of Words, was released in September 1993. War Of Words kicks off with the crunchy thrasher "Into the Pit" and blazes through 12 tracks of crushingly heavy material that immediately sets itself apart from Rob's Priestly past. While Priest were often polished, high-tech and ethereal, Fight simply wanted you to jump in the mosh pit and beat the crap out of each other. "Contortion," "Kill It" and "Vicious" all prove that Rob Halford was definitely in a meaner, nastier mindset at this point in his life, but his voice remained golden. Lyrically War of Words showed Halford's socially-conscious side more than ever before, with "Nailed to the Gun" tackling America's gun problem and Rob reciting the First Amendment in the anti-censorship title track - which likely was inspired by Judas Priest's then-recent court victory over accusations that hidden "backwards messages" in their music had inspired two fans to commit suicide. Throughout War Of Words, Rob's vocals ring out clean and clear through the maze of musical chaos put forth by his new band mates. The album slows down (just a bit) on tracks like the moody "Little Crazy" and chugging "Immortal Sin" (which has a slight industrial feel to it, foreshadowing Rob's later experimentation in that field), and the album also includes the amazing ballad "For All Eternity," which may be one of Rob's finest vocal moments ever captured on tape. Check out the glass-shattering high notes he hits toward the end of this song and I think you'll agree with me!! Fight - "Nailed To The Gun"
Into the Pit - LIVE! 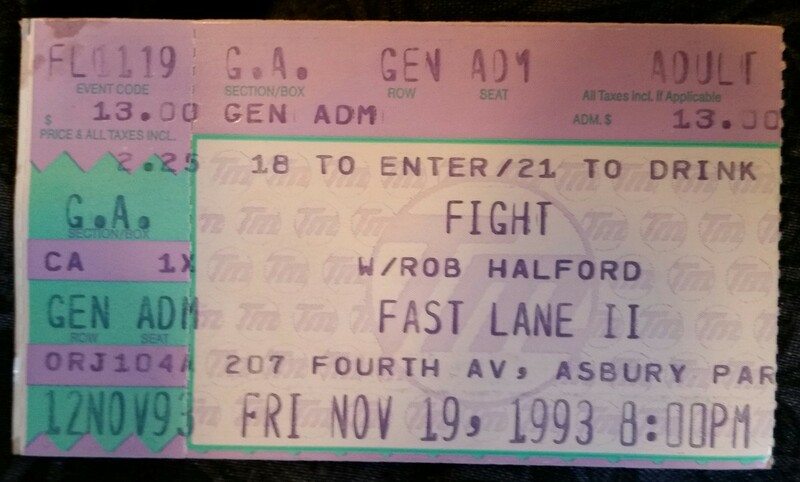 I was lucky enough to see Fight live during the War Of Words tour in November, 1993 at a small, packed-to-the-rafters nightclub in Asbury Park, New Jersey. To this day I still consider it to be one of the best metal concerts I have ever attended. Of course, as a long time fan it was quite a rush simply to be standing ten feet away from ROB friggin' HALFORD, watching him perform in a New Jersey bar instead of an arena, but the band was punishingly awesome to boot. The Metal God and his new friends had something to prove when they took the stage that night, and happily, they utterly crushed every single song they played. I had seen Rob four times prior to that gig as a member of Priest, and I've seen him once afterwards (fronting his early '00s return-to-form combo, Halford) but I can say in all honesty that I NEVER heard Rob in better voice than at that Fight gig. He sang the entire War of Words album and several Judas Priest classics (plus two Black Sabbath cover songs) and was rippingly, awesomely pitch-perfect throughout. His intensity gave me chills that night!! Twenty-plus years later I still speak of that gig in tones of awe, and the memories come roaring back every time War Of Words goes into my CD player. The 1990s were a tough decade for hard rock and metal artists who'd been associated with the '80s, and Rob Halford was not immune to the changing times. 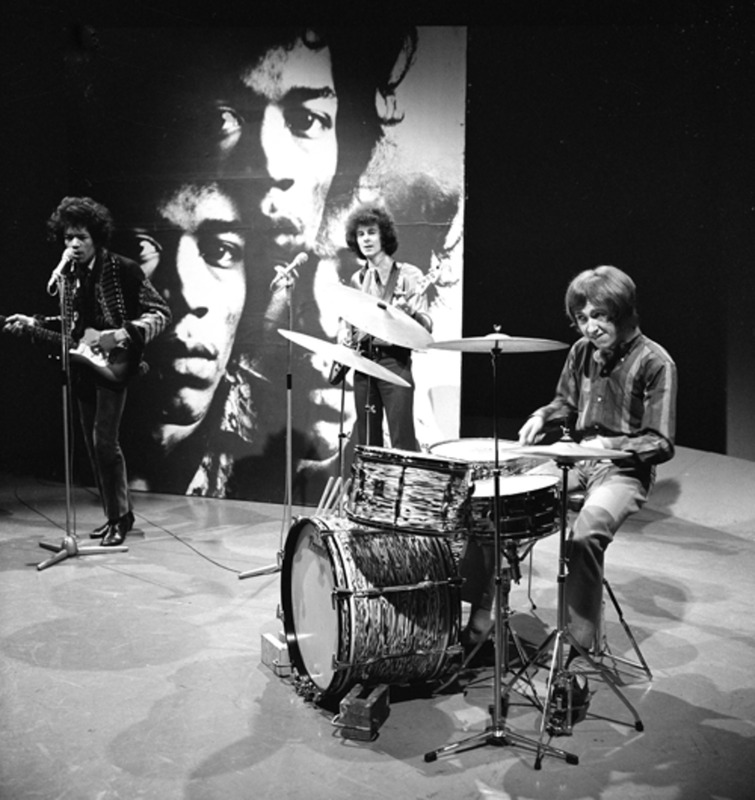 War of Words garnered great reviews from heavy metal magazines but it was not a chart or sales success, peaking at #83 on Billboard and only selling around 200,000 copies in the U.S. Fight's subsequent releases made even less of an impact. 1994's Mutations was a mostly-unnecessary EP that featured remixed versions of War of Words material and some live tracks, and 1995's less-heavy, grunge influenced sophomore album A Small Deadly Space was a critical and sales disappointment. In 1996 Halford dissolved Fight and moved onto other projects. His ill-fated industrial experiment "Two" (aka "2wo") released one unsuccessful album (1997's Voyeurs) on Nine Inch Nails mainman Trent Reznor's Nothing Records label. As the 21st century dawned, the Metal God made a triumphant return to traditional heavy metal with his Halford band, beginning with 2000's excellent Resurrection disc. Shortly after Halford's second studio album (2002's Crucible), he reunited with his Judas Priest band mates. 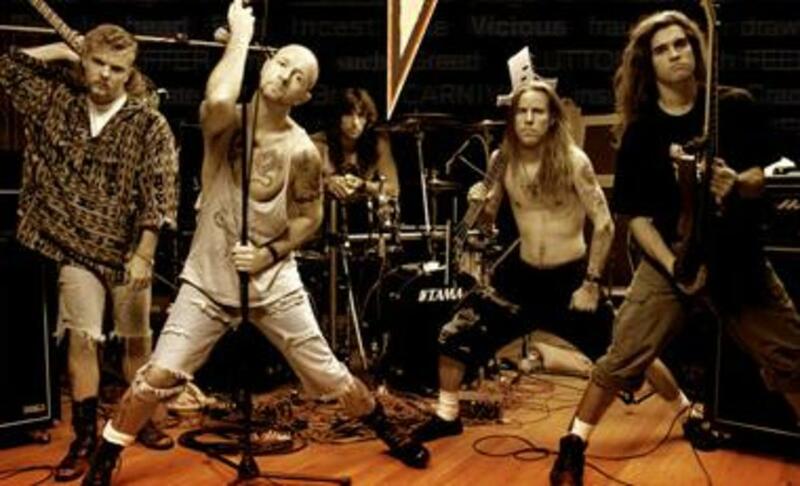 While Rob continues to front Judas Priest to this day and still releases occasional solo material under the Halford name, Fight also maintains a cult following. Rob now owns the rights to the Fight catalog and has re-issued their studio albums (along with a number of live recordings and demos) via his own Metal God Entertainment label imprint. 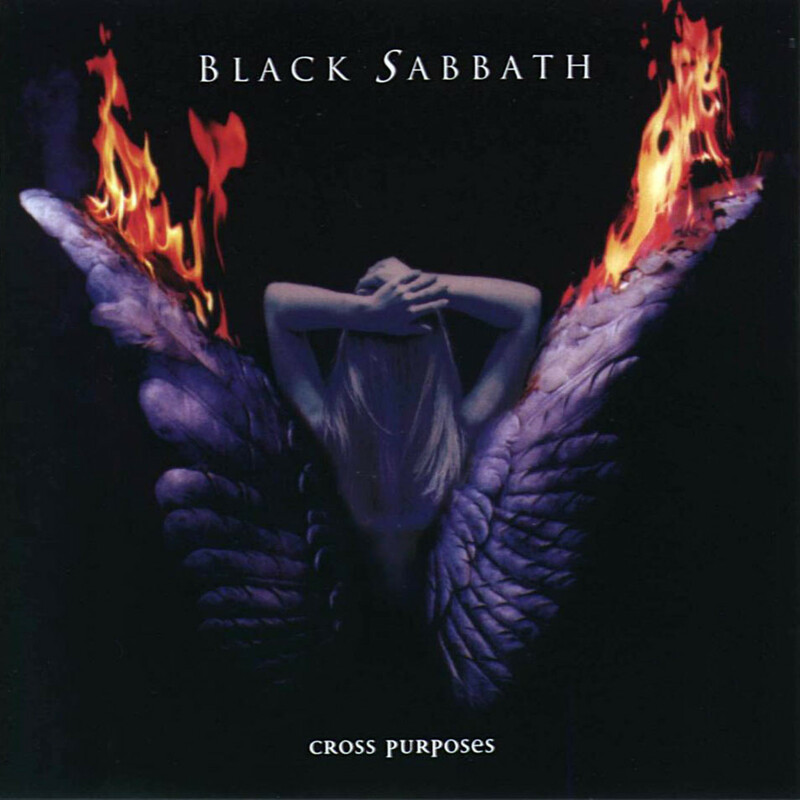 If you've never heard War Of Words I heartily recommend it - it is still one mean mutha of an album that can hang with any of the Metal God's finest works. 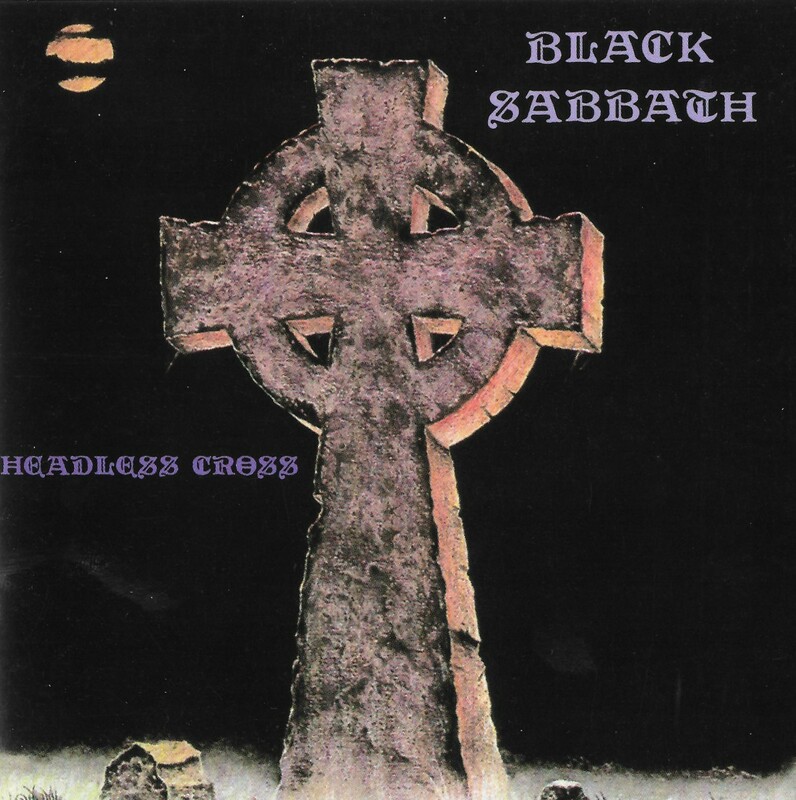 Forgotten Hard Rock Albums: Black Sabbath, "Headless Cross"
Forgotten Hard Rock Albums: Black Sabbath, "Cross Purposes"
Why Did Rock Music Decline and Can It Make a Comeback? Hi again Dan -- I think you've summed up this period in Rob's career perfectly, and thanks for the kind words! I always felt that Fight was Halford's midlife crisis. For some, It's a comb-over and a Corvette. For Rob, it was a war of words. As in any relationship, one party became restless. So Rob said to Priest...I think we should see other people. And so, he gathered a group of young, hungry musicians. And he got it out of his system in two excellent albums. This was basically, a fling with younger musicians. This was also a fresh start for an ageing Rock-Star. It made him relevant to a younger more cynical audience. Let's face it, the Beavis and Butthead disciples were not listening to Screaming For Vengence. However; when I saw Fight at The Edge in Ft. Lauderdale, it was a sea of brooding pimpley faces awash in a pit of swirling flannel. intentional or not, Fight would serve as a vehicle to recruit a younger audience. And that audience followed Rob, right back to the Preist. It turned out to be a very good career move for both Halford, and Priest. 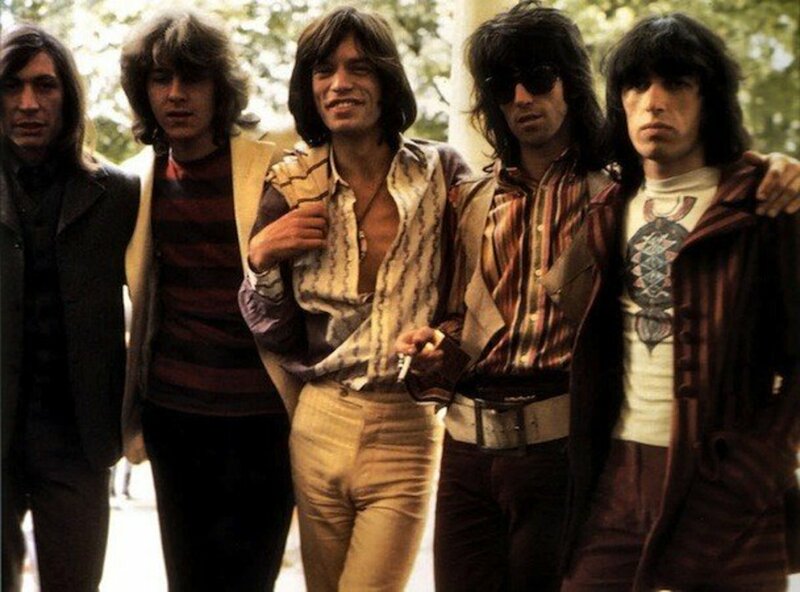 Keith you rule. 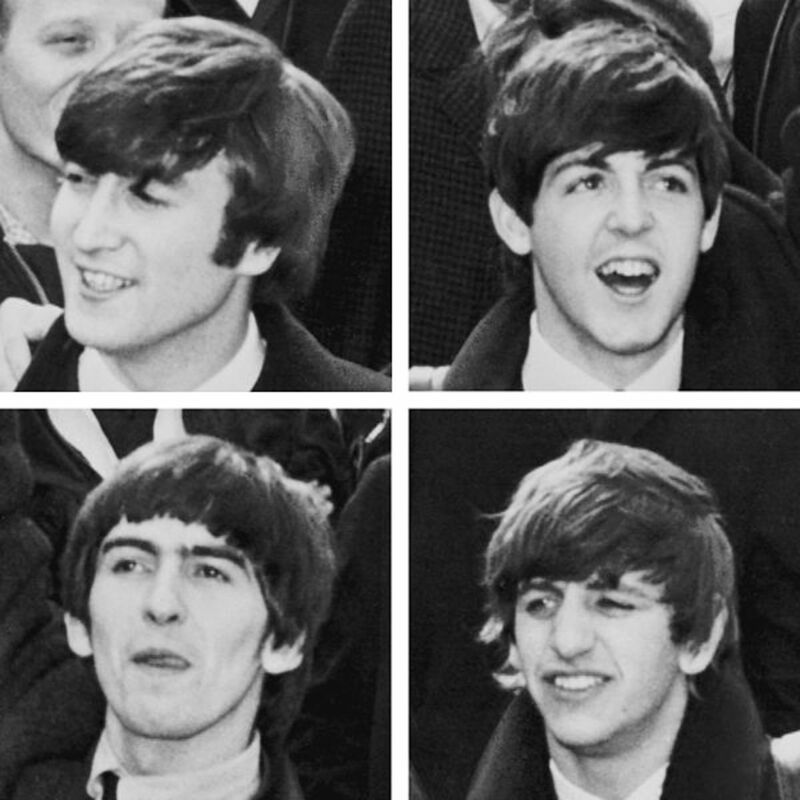 You're as good as any Rock journalist I can thunk of. I remember hearing either "Into the Pit" or "Nailed to the Gun" when it was first released, and being incredibly disappointed ("he quit Priest for THIS?!"). But then the album was released and I loved it . . . there was melody among the angst and Rob's skills were in full display (especially on songs you mentioned). My wife and I saw Fight open for Anthrax on the latter's SOUND OF WHITE NOISE tour and it was fantastic (we even got to see Scott Travis playing basketball on a portable goal behind the club, and he spoke to a few of us for a moment -- that was obviously very cool). Hi Zakmoonbeam - very cool, I dig helping fellow metapheads make new discoveries. Thanks for stopping by! Wow, I consider myself both a fan of Judas Priest and the metal genre, but I had never heard of this band! Having listened to the video you have here, I'm hooked and I'm off to see if Spotify have it. Thanks for the great Hub and the info, new follower and fan onboard!